Although we are all about the beer we believe that great beer should be served with great pies! We serve them hot with sauces on a lovely wooden board for £4.00 each. 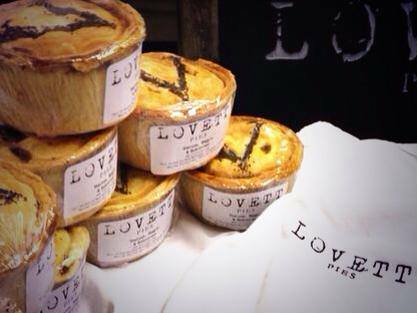 Our current pie supplier is Lovett Pies , from Kingswood near Bristol and multi award winning. You can choose from the following. All taste delicious with our ales, darker ales go particularly well with Lamb & Beef Pies whereas the lighter ales will go well with the chicken and vegetarian ones.